Real-time reliability control will soon make it possible to drive profitability at the operator and equipment asset level. The ultimate objective of any industrial enterprise is to maximize and control operational profitability, safely, in real time. This is even more critical in today’s manufacturing environment because of the ever-increasing speed of industrial business. For example, only a decade ago, many industrial plants had contracts with their electricity suppliers that designated the price they paid for a unit of electricity for an entire year. Today, on the open U.S. power grid, the price of electricity can change every 15 minutes. 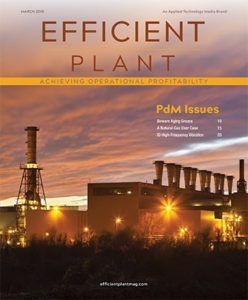 Hear Peter Martin talk more about reliability and profitability in manufacturing in the above Efficient Plant podcast. Managing the business of industrial operations with monthly data from ERP reports is no longer feasible. You need to control operational profitability, in real time. Accomplishing that requires controlling and measuring the reliability of plant assets and asset sets, down to the equipment level. Manufacturers have relied on various process-control methods and applications for more than 100 years. The primary objective has always been to safely increase plant production. Originally, single-loop feedback control was the preferred method, but it has been replaced by state-of-the-art process control in the past fifty years. Today, coordinated multiple-variable approaches, coupled with dynamic-process models, have enabled some very sophisticated predictive-control strategies. These advancements in process control have enabled manufacturers to continually increase operational throughput. However, there is an inherent risk in doing so. As industrial assets are pushed to deliver more, they move closer and closer to their reliability and safety thresholds. As a result, today’s assets are under continuous strain that is degrading their reliability and affecting overall operational performance. To counter that risk and alleviate the strain, industrial-maintenance tools and practices, intended to improve asset reliability, have progressed and evolved over the past two decades. Classic break-fix models, otherwise known as reactive maintenance, have been expanded first to preventive maintenance, then to predictive maintenance, and finally to prescriptive maintenance. Each of these advancements led to a corresponding increase in asset reliability. But manufacturers were soon stuck in a cycle because, even as advanced tools and techniques were being applied to improve asset reliability, process control became more sophisticated, fighting reliability improvements every step of the way. It turns out that more advanced technology isn’t what we need. What we really need to do is rethink how we address this age-old issue, and that begins with how we measure asset reliability in the first place. In the past, measuring the reliability of industrial assets was limited to analyzing historical performance. A much more effective approach is to directly measure how likely it is that a reliability incident will occur, i.e., determine reliability risk. Data-science advancements and the proliferation of condition and process measurements in industrial operations make it practical to perform direct, real-time measurement of asset reliability. Such measurement, in turn, allows real-time asset-reliability control. Based on extensive laboratory testing and actual in-plant experience, there is already considerable information on reliability at the equipment asset level. For example, accurate reliability curves, coupled with condition and process measurement, make it possible to precisely measure asset-reliability risk (See Fig. 1 above). Once the real-time reliability risk of equipment assets is measured, it’s a small leap to measuring the reliability risk of higher-level units and area asset sets of the operation. After real-time reliability risk is measured, real-time reliability control becomes possible (See Fig. 2). This significantly and positively extends traditional maintenance management. For example, if it is likely that a compressor will fail within the next six hours, i.e., the risk is high, the real-time reliability controller, in the form of the process operator (this function could eventually be handled by an automatic asset controller), might immediately respond by slowing compressor rotation, thus extending the reliability time threshold and avoiding a short-term failure. This provides time to optimally and more permanently respond to the condition. The availability of real-time reliability control will lead to a two-level asset-reliability model for industrial operations (See Fig. 3). At the lowest level will be real-time control offering real-time reliability risk measurement and the appropriate control response to increase asset reliability. At the upper level will be sophisticated asset-reliability-management functions, such as prognostics and maintenance planning and scheduling. Together, this two-tier approach will increase asset reliability, which naturally leads to more output from every asset in the operation and increased operational reliability. However, the two-tier approach does not offer a direct tie to improving safe operational profitability, which is the ultimate objective. It is tempting to assume that any increase in asset reliability directly translates into profitability improvement, but this might not be the case. For instance, if the compressor in the above example is slowed down to extend its time to failure, the short-term result will be a less profitability because throughput will also be reduced. Therefore, the best way to ensure that this new approach has a positive impact is to directly measure operational profitability factors in real time, at the asset level. In fact, as with a reliability-control loop, an operational profitability control loop can be developed once the profitability factors are measured (See Fig. 3). Using real-time accounting can enable profitability measurement, which would then empower the workforce, through specialized asset analytics software, to control the real-time operation profitability. Figure 4 illustrates a functional, not necessarily physical, model. The line from Operational Profitability Measurement to Operational Profitability Control can only be deployed when automatic reliability control is a reality. Since the technology isn’t quite there yet, in the current state, as with real-time manual-reliability control, the operator becomes a real-time profitability controller. However, as technology advances, reliability and profitability control could happen separately and automatically. How does real-time operational profitability control tie to real-time reliability control, i.e., how does increased reliability drive operational profitability? From a control-theory perspective, profitability control would cascade to reliability control (See Fig. 5). This enables reliability control to be implemented in a manner that drives optimal profitability. The output of the operational profitability controller serves as the set point for the reliability controller. Since both of these real-time control domains are in their infancy, it might be best to think about how process control was accomplished early in the Industrial Revolution, when relatively little experience with real-time control existed. At that time, process operators performed the control functions manually. Gauges provided the data they needed to implement real-time process measurement, which empowered them to effectively control the processes. In like manner, empowering today’s industrial workforce with real-time operational profitability data, along with process control and real-time reliability risk information, will turn them into operation- and business-performance managers. Operators will be able to adjust set points and see the impact they and their adjustments are having, not only on the process, but on the profitability and reliability of the assets. They can then apply this feedback to make operating and business decisions that maximize profitability without significantly increasing reliability risk. Likewise, plant-maintenance personnel can determine their maintenance activities from the profitability and reliability risk information provided by the control system, and adjust their actions and responses accordingly. Since operations and maintenance personnel work from the common objective of improving operational profitability, they will work much more collaboratively. 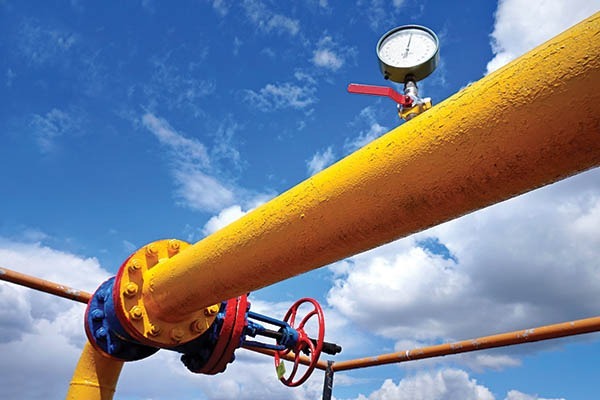 For example, in a gas operation, in which the real-time profitability metrics were in place and operating, the maintenance and operations teams started planning maintenance schedules together, focusing on contracts that included financial penalties for not meeting terms and commitments on time. 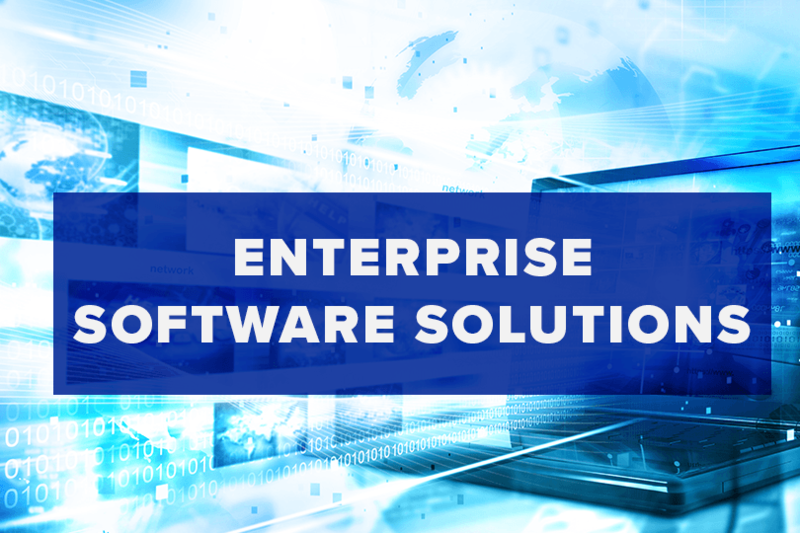 Because they were able to keep the operations and assets up and running long enough to meet the contracts, the teams helped increase operational profitability for the business. Prescriptive maintenance: Analytics indicate that a piece of equipment is headed for trouble and can prescribe prioritized, pre-determined, expert-driven mitigation or repair. Tools and techniques determine the condition of in-service equipment and predict when maintenance should be performed. Preventive maintenance: Regular maintenance is performed while the equipment is operating so that it does not break down unexpectedly. This approach also lessens the likelihood of failure. Repairs are implemented when equipment fails with a focus on restoring the equipment to its normal operating condition. Peter Martin, Ph.D., is a recognized leader and innovator in automation and control. He has been a practitioner in the field for almost 40 years, authored and coauthored numerous publications, holds or has pending multiple patents in the areas of real-time business measurement and control, and was recognized by Fortune magazine as a Hero of U.S. Manufacturing. Martin is also a recipient of ISA’s Life Achievement Award.